A Positive Cycle for you? You experience your Jupiter Return at around 12, 24, 36, 48, 60, 72, 84 and 96 years of age. 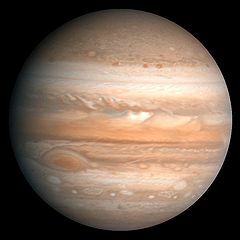 Jupiter takes about 12 years to complete its journey around the Sun and through the 12 Astrology signs of the Zodiac. You can click on Astro.com and key in your birth details to find out when Jupiter will be returning in your chart. Jupiter is about expansion so often you may be better off financially during this cycle. You may receive a promotion at work. There is an opportunity to expand in certain areas of our lives. Remember to get plenty of exercise - expansion can also mean expanding your waistline!! Studying, travelling and working on things you are passionate about are some of the ways you can take full advantage of this period. This is also a good time to be assertive especially if you are usually timid. Think big picture now - apply for a job that gives you inspiration. What happened in your life when 12 years ago? You may experience similar opportunities in your next return so try and have an action plan to take full advantage of this auspicious Jupiter cycle. Depending on the degree and how fast Jupiter moves you may experience this return for six to nine months - especially if it stations and retrogrades to the same degree in your Astrology Birth Chart. When you turn 60 you will also be experiencing your second Saturn Return. This may help you to move through the Saturn Return with a more optimistic outlook. So think big! What are you dreams? Great time to prepare a Vision Board gather pictures of how you want your life to look like. Then take some ACTION towards turning your dreams into realities. These cycles are times when you are more likely to succeed.